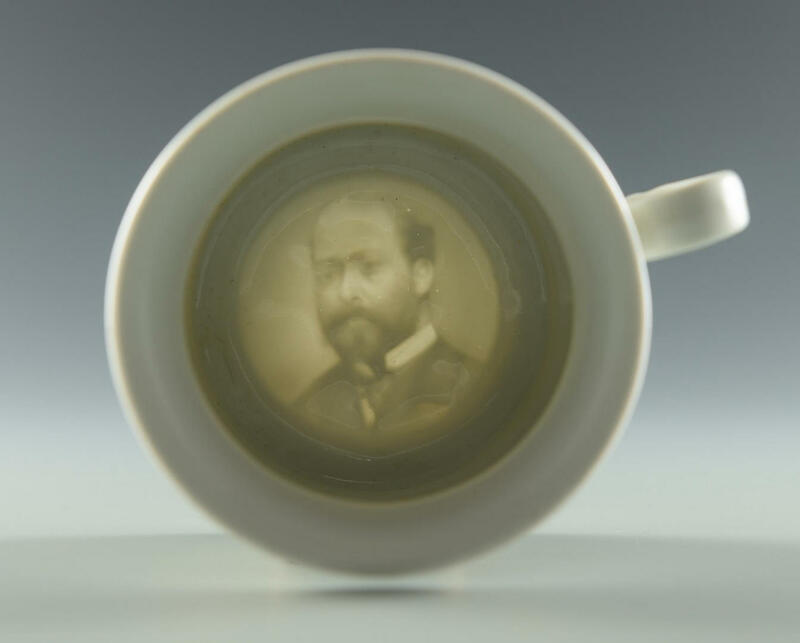 Porcelain lithophane shaving mug with impressed portrait similar to President James A. Garfield to the inside base. Exterior with bird, floral, butterfly and gilt decoration. Base numbered "78". 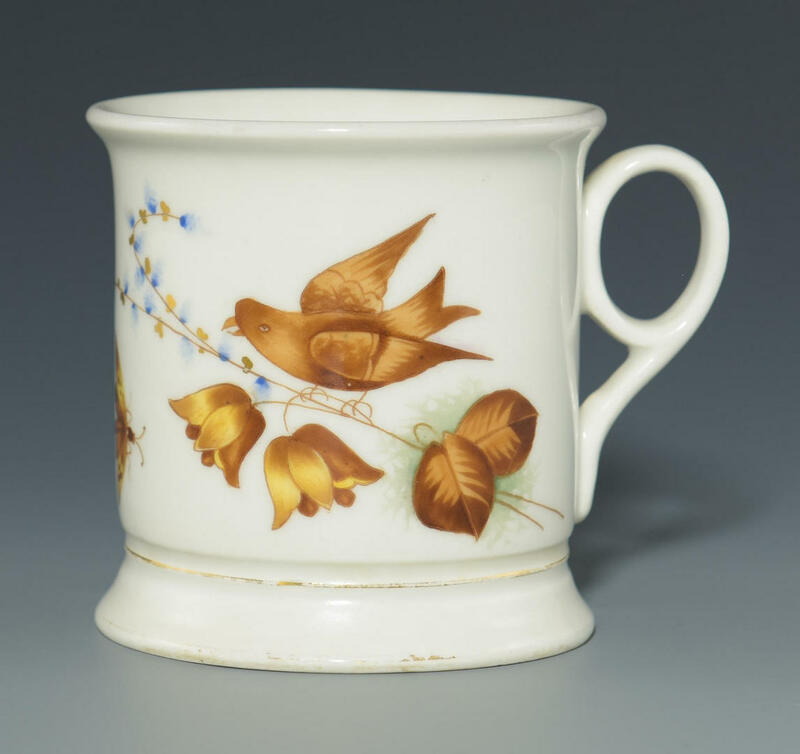 No maker's mark but attributed to The Cartlidge Porcelain Company, Greenpoint, New York. 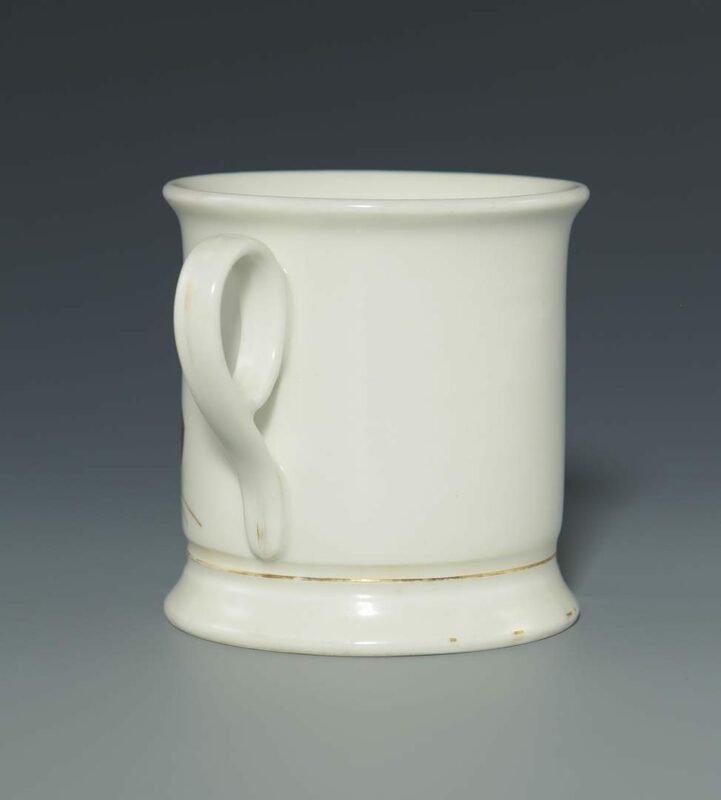 3 1/2" H. Late 19th century. Provenance: Knoxville, Tennessee collection. CONDITION: Overall excellent condition. Gilt gold trim faded around bottom. 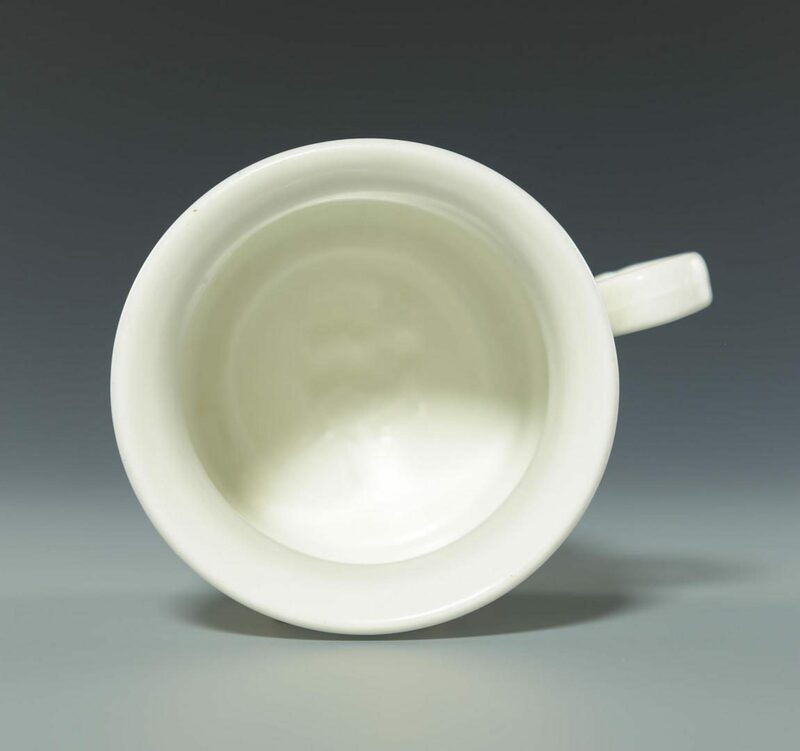 1/8" Brown spot inside of mug.